SLI or Scalable Link Interface is a multi-GPU technology from Nvidia. It is based on the principle of parallel processing where two or more GPUs share the load of game or graphics application. In SLI you can connect and run multiple (up to four GPUs) graphics cards on a single motherboard and thus double, triple or even quadruple your graphics performance in gaming or other graphics applications. Nvidia’s rival i.e. AMD also has their own multi-GPU technology which is known as CrossFire, but here I am going to talk about SLI and provide you the list of all SLI supported graphics cards from nvidia. 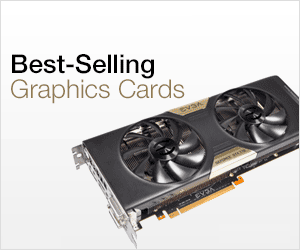 The first and foremost requirement of SLI is two or more identical SLI Ready Graphics Cards. This means these graphics cards should have the same GPU and Memory capacity. For example you can run two GTX 1060 3GB GDDR5 graphics cards in SLI but you can’t run a GTX 1060 and GTX 960 in SLI mode. 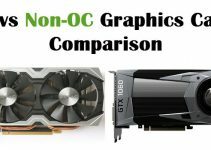 You can use graphics cards having the same GPU from different manufactures in SLI e.g. you can use Asus GTX 1070 with EVGA GTX 1070 or other GTX 1070 from different graphics card manufacturer. The other major requirement of SLI is the SLI enabled motherboard. 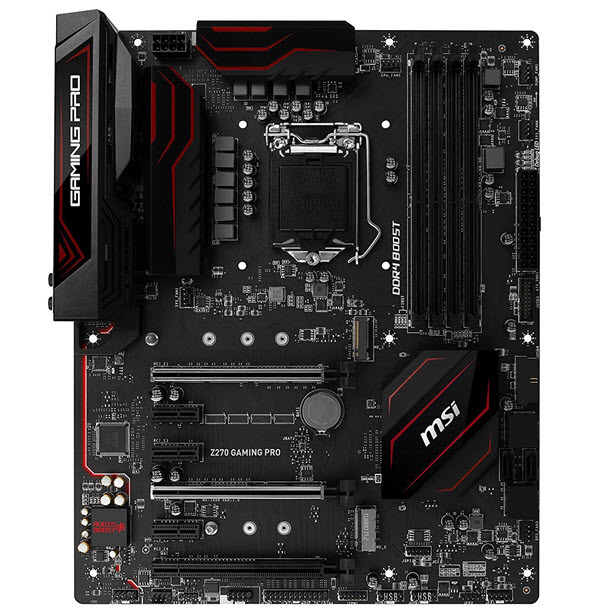 A motherboard that supports SLI comes with two or more (up to 4) PCI Express x16 slots and it is specified on their product detail / manual or on their web page that it is SLI Ready or SLI Certified. This is because all motherboard having multiple PCI-Express x16 slots do not support SLI. Some motherboard supports SLI, some CrossFire (AMD multi-GPU technology) and some can support both SLI and CrossFire. Most of the Z series motherboards support SLI. For Dual GPU Graphics Cards you don’t need SLI motherboard as they can work in SLI mode on normal motherboards too having PCI-E x16 slot. SLI Bridge or SLI Connector is a small connecting device or connector that connects two or more SLI graphics cards. It plugs in the SLI slots of your graphics and establishes a direct connection or communication between two or more graphics cards for data transfer. It is much faster than the PCI Express Bus and offers much higher bandwidth. It is possible to run graphics cards in SLI mode without SLI Bridge but then the performance will suffer especially in the case of high-end graphics cards that offers greater bandwidth. Standard Bridge – It runs at 400MHz Pixel Clock and offers 1GB/s bandwidth. This is the most basic and common type of SLI bridge and comes with motherboards that supports SLI. It is recommended for monitors up to 1920×1080 and 2560×1440@60Hz. LED Bridge – This Bridge has higher performance compared to Standard SLI Bridges. It has Pixel Clock of 540 MHz and is recommended for monitors up to 2560×1440@120 Hz+ and 4K. It is sold by Nvidia, EVGA, MSI, Asus and other graphics card manufacturers. High-Bandwidth Bridge or SLI HB Bridge – This is the fastest SLI Bridge and offers maximum Bandwidth. It has 650 MHz Pixel Clock and supports monitors up to 5K and Surround. SLI HB Bridges are available only in 2-way configurations and are sold only by Nvidia. Supported graphics cards include GeForce GTX 770, GTX 780, GTX 780 Ti, GTX 970, GTX 980, GTX 980 Ti, GTX 1070, GTX 1080 and GTX TITAN series. Also you require 2GB to 4GB RAM (for 64-bit OS) for SLI. As of now you do not have to download special drivers for SLI because NVIDIA ForceWare Unified Driver Architecture (UDA) supports SLI technology. You just have to download the latest driver for your graphics card as all the SLI profiles and SLI drivers comes include in it. 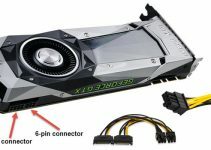 You need a very powerful and reliable power supply if you are running two or more high-end graphics cards in SLI mode on your computer. 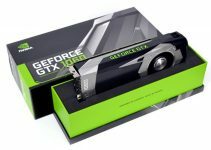 This is because each high-end graphics cards can consume up to 200 – 250 Watts of power which results into tremendous power requirements all together. All games and applications do not support SLI technology. You can only see performance increase in games and applications that are GPU bound and supports multi-GPU configuration. For them Nvidia includes SLI profiles in their driver package so that you don’t have to configure anything for them. Almost all the latest games support SLI and you can really increase your gaming performance to much greater level. There are three types of SLI configuration in which you can connect multiple GPUs (up to 4). 2-Way SLI – In this you can connect two single GPU graphics cards in SLI mode using 2-way SLI Bridge. 3-Way SLI – In this you can three single GPU graphics cards in SLI using 3-way SLI Bridge. 4-Way SLI or Quad SLI – This is also called Quad SLI and in this you can connect 4 single GPUGraphics Cards in SLI using 4-way SLI Bridge or can connect two dual GPU graphics cards using 2-way SLI bridge. 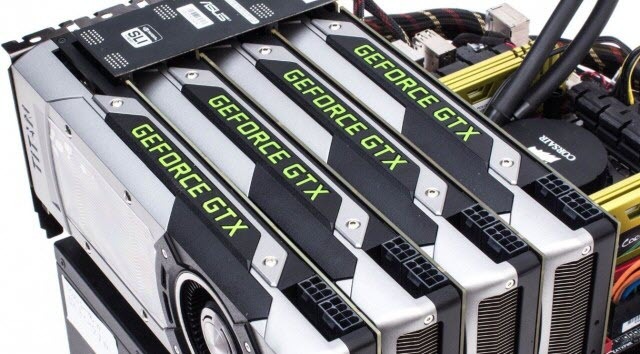 You cannot connect 3 or 4 dual GPU graphics cards in SLI because that would make it Hexa and Octa SLI configuration which does not exist. Note: 2-way SLI is the most popular and active SLI configuration used today because Nvidia has reportedly dropped most of the support for 3-way and 4-way SLI. This is because of the complexity involved in driver development. Modern graphics cards such as GTX 1070, GTX 1080 and higher will only support 2-way SLI. Split Frame Rendering (SFR) – In this mode GPUs split the workload equally to render the image on the screen. Alternate Frame Rendering (AFR) – In this mode one GPU renders odd frames and other GPU renders even frames alternatively. SLI Antialiasing – In this mode two GPUs split the workload of Antialiasing to provide smoother and superior image quality without any jagged edges. Hybrid SLI – In Hybrid SLI, discrete GPU (Graphics Card) and IGP (Integrated Graphics) work together to increase performance. It can be found on laptops too. Important Note – You need a powerful CPU for high-end SLI configuration otherwise the CPU will be a bottleneck for the graphics cards and performance will suffer drastically. Here is the list of all SLI supported desktop graphics cards from Nvidia. At the end I would like to say that I have tried my best to explain all the important things regarding SLI. If you still have any queries or doubts then feel free to ask me by leaving a comment below. I heard some high end graphics cards still can run sLi even if you put them in a motherboard doesn’t support sLi. Did you know what kind of type graphics card is it ? No, is not the dual gpu card. Supermicro x11dpg-qt motherboard is not sLi ready board. I ask supermicro technical support twice. They keep saying “No”. But I found a website selling workstations using supermicro x11dpg-qt board with 4 gpu in it (rtx 2080ti). I asked supermicro technical support, how that possible? The answer is some high end gpu can run sLi even the Motherboard not certified sLi ready. This is what I want to know. The list of graphics card can run sLi inside non sLi ready motherboard. I have to look into it and will update. This is actually possible. Using a bridge can help. But the performance will throttle a lot. It defeats the actual purpose of having multiple GPUs. Also, it will cause issues for the software, since the cards are not directly used in a single instance. Distribution of loads will become harder for the software.